As Council’s preferred bidder, the Parkers will have priority access on two weeknights and one weekend day per week in a co-tenancy arrangement with Port Melbourne Sharks (PMSC). PMSC will have priority access on an additional two weeknights, with the ground being open for community use during all other times.  MPFC will be sitting down with Council and PMSC in the coming days to finalise the usage schedule for the 2015 season. With the new ground having lighting, but lacking change rooms, referees room, or canteen facilities, it will be utilised as an additional training facility for junior and senior teams, as well as hosting a number of Miniroos matches on weekends. The additional ground space has paid immediate dividends, allowing the MPFC junior program to expand to include over 200 local children across 14 registered teams, in addition to the club’s weekly intra-club training program for younger children. The new ground will alleviate the extreme pressure on the club’s main pitch at Field 16 in Albert Park Reserve. Council highlighted MPFC’s high number of members from within the City of Port Phillip, as well as the club’s various community initiatives, as important factors in its successful bid. The club submission was bolstered by letters of support from Parks Victoria, TLC for Kids, and the Emerald Hill Mission, highlighting some of the important work that the club does in the local community. Former President, Luke Osland, who co-ordinated the club’s submission, hailed the work of a large number of club members and committee members who put in the work to ensure that MPFC put in the strongest bid. “(This) is the culmination of work that has been going on for a long time and encompasses a lot of people at the club who have worked hard to not only identify ground opportunities, but to deliver some of the wonderful initiatives that the club has been able to implement,” said Osland.